For ALL mentees and volunteers. Kick off the new WriteGirl season with a day of writing activities, special guests, and of course...a tasty lunch! 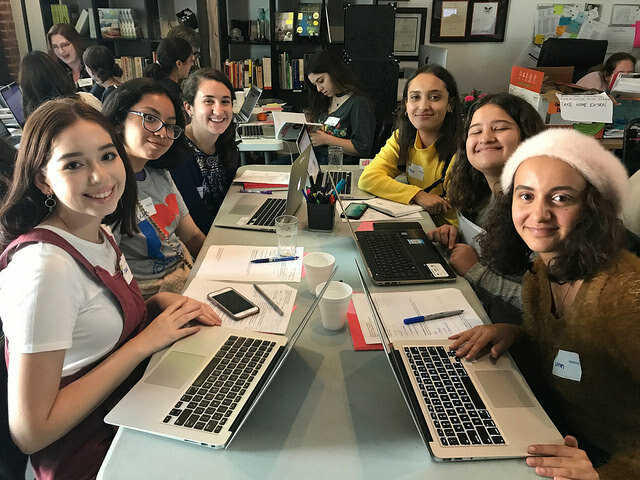 Get to know some of our teen girls and women writers. Get ready to hear about all the exciting events and activities in the season ahead! Tap into your creative mind and create characters and stories that only you can write. You and your mentor will be guided through interactive writing activities to help ignite your imagination and help you invent fantastical worlds or small emotional moments. Art inspires poetry inspires art. Color, shape, texture, sound...your senses will come alive at this all-day extravaganza to help guide your poetic voice. Renowned poets will share insights and techniques, and of course, we will end the day with our annual, “WriteGirl Poetry Cafe,” where girls are invited to share some of their poetry and passion! Stellar singer/songwriters will help girls craft lyrics in this day-long lyric writing event. The day culminates in a special showcase where our singer/songwriter guests will set some of the girls’ lyrics to music. Don’t miss this day! Discover the secrets of writing scenes and monologues for the stage and screen, including subtext, conflict, “the inciting incident,” character development and much more...directly from Hollywood pros. You may even see writing come to life in the hands of outstanding Los Angeles actors in the afternoon showcase! Get ready for the red carpet evening benefit, “Lights, Camera, WriteGirl!” where selected scenes and monologues, written by WriteGirl teens and performed by acclaimed actors, will make a packed audience roar with laughter – it’s our special annual fundraiser to support WriteGirl programs! Celebrity actors, silent auction, raffle prizes, dinner and cocktails! Get inspired by the amazing exhibits at LACMA! Mentees and mentors will explore the museum with a variety of writing experiments in hand! Celebrate the 18th Season of WriteGirl and our new book! 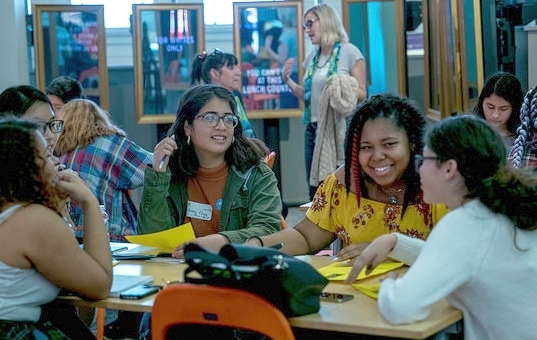 Food, beverages, special guests, and performances by the teen girls of WriteGirl! We thank our dedicated volunteers, for their contributions of time, energy, skills and heart.